Mother’s Day is this Sunday. Can you believe it? It’s not too late to send your mother a Mother’s Day Card. And if you’re hand-delivering it, you still have plenty of time! 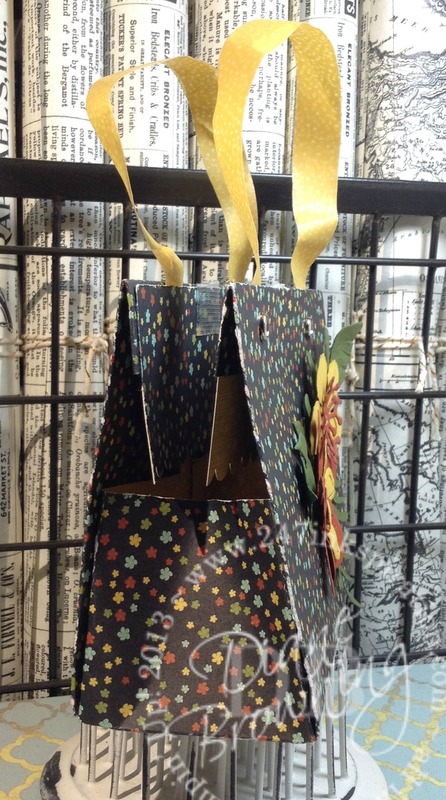 Today I’m sharing an adorable gift wrap idea to hold your mom’s present. 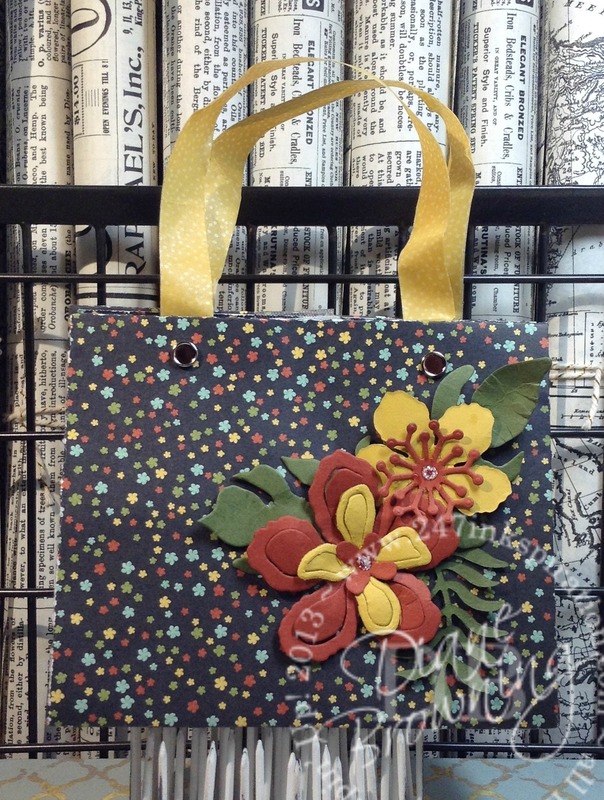 This little purse was made by Poli and it was her swap for our April Downline Meeting. I love the great use of washi tape as purse straps. Washi tape is so inexpensive and we all have tons of it in our craft stash (admit it, you know you do). It’s hard to see in the picture, but the washi tape straps are actually four pieces of tape. There are two pieces back-to-back so you don’t have to worry about it sticking to something. Here’s a tip when cutting out your flowers and leaves – use your Precision Base Plate! That little fern leaf is almost impossible to get out of the die if you don’t use your Precision Base Plate. The dimensions of this purse are 4.5″ across by 3.75″ tall by 2″ deep. It is the perfect size to hold a small gift or a gift card. There is velcro at the top to hold it closed too. The clear velcro is really nice because it blends into the project. You can find clear velcro at craft or sewing stores. This purse uses a number of soon-to-be retired items. In fact, I think the only continuing item is the Botanical Builder Framlits. The pattern paper, washi tape, and brads are all going. Remember, all retiring products are while supplies last. Don’t wait too long to get these items or they may be out of stock. Click on my Order Online button on the right hand side and get these goodies before they are gone forever!